DISNEY - From SideshowToys: It is the 30th anniversary of "Who Framed Roger Rabbit?" So here are "Amazing Facts You May Not Know About Who Framed Roger Rabbit." MOVIES - From Variety: Greta Gerwig, hot off her Oscar-nominated film, "Lady Bird," is eyeing a retelling of "Little Women," with Meryl Streep, Emma Stone, and Saoirse Ronan interested in appearing in the film. MUSIC - From YahooMusic: A look back at Guns N' Roses landmark debut album, "Appetite for Destruction." COMICS-FILM - From THR: Jared Leto to play "Morbius the Living Vampire," (a Marvel character associated with Spider-Man) in a Sony film. DISNEY - From THR: Disney-Fox deal approved by the U.S. Department of Justice. COMICS-FILM - From TheWrap: Jeremy Irons joins Damon Lindelof's "Watchmen" pilot for HBO. Like the awful 2009 film, it will be some kind of adaptation of Alan Moore and Dave Gibbons' legendary 1980s comic book series. CULTURE-RACE - From NYTimes: Charles M. Blow talks about Donald Trump, his supporters, and "White Extinction Anxiety." BOX OFFICE - From BoxOfficeMojo: The winner of the 6/22 to 6/24/2018 weekend box office is the sequel, "Jurassic World: Fallen Kingdom," with an estimated take of $150 million. POLITICS - From YahooEntertainment: Grammy-winning recording artist and actor, Sting, criticizes world leaders over the handling of refugees. From Variety: Famed science fiction, speculative fiction, and television writer, Harlan Ellison, has died at the age of 84, Thursday, June 28, 2018. Ellison wrote the most famous episode of the original "Star Trek," "City at the Edge of Forever." Ellison also wrote for "The Outer Limits," two episodes of which would later lead Ellison to sue the producers of James Cameron's "The Terminator." From TMZ: Joe Jackson, the patriarch of the Jackson family, has died at the age of 89, Wednesday, June 27, 2018. He was the parent and manager of the Jackson 5 (with some help from Diana Ross) and later directed his children, Janet Jackson and the late Michael Jackson, into hugely successful solo music recording careers. BURBANK, Calif.--(BUSINESS WIRE)--Warner Bros. Pictures and Village Roadshow Pictures’ “Ocean’s 8” crossed $100 million at the domestic box office this past weekend. The film now stands as the 10th-highest-grossing film of the year domestically, it was announced today by Jeff Goldstein, President of Domestic Distribution, Warner Bros. Pictures. The latest installment of the successful “Ocean’s” franchise, “Ocean’s 8” stars Sandra Bullock, Cate Blanchett, Anne Hathaway, Mindy Kaling, Sarah Paulson, Awkwafina, Rihanna, and Helena Bonham Carter. Five years, eight months, 12 days...and counting. That’s how long Debbie Ocean (Sandra Bullock)—just released from prison—has been concocting the greatest heist of her storied career. She knows what it’s going to take—a team of the best in their field, starting with her former partner-in-crime Lou (Cate Blanchett). Together, they recruit a crew of specialists: jeweler Amita (Kaling); street con Constance (Awkwafina); expert fence Tammy (Paulson); hacker Nine Ball (Rihanna); and fashion designer Rose Weil (Bonham Carter). The target is $150 million in diamonds—diamonds that will adorn the neck of world-famous actress Daphne Kluger (Hathaway), who will be center stage at the event of the year, The Met Gala. Their plan appears rock solid, but it will need to be flawless if the team is to get in and get away—all in plain sight. “Ocean’s 8” also stars Richard Armitage as Claude Becker, Kluger’s unwitting date at the Gala, and James Corden as John Frazier, an insurance investigator trying to put the pieces together. Ross’s behind-the-scenes team included director of photography Eigil Bryld, production designer Alex DiGerlando, Oscar-nominated editor Juliette Welfling (“The Diving Bell and the Butterfly”), costume designer Sarah Edwards, and composer Daniel Pemberton. “Ocean’s 8” is based on characters created by George Clayton Johnson & Jack Golden Russell. Warner Bros. Pictures presents, in association with Village Roadshow Pictures, a Rahway Road production, “Ocean’s 8.” The film is being distributed worldwide by Warner Bros. Pictures, a Warner Bros. Entertainment Company, and in select territories by Village Roadshow Pictures. This film has been rated PG-13. 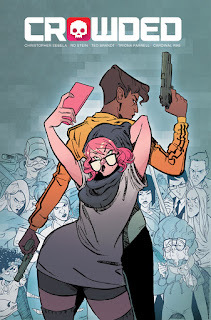 PORTLAND, OR — Even before hitting shelves this August, the forthcoming CROWDED by Eisner-nominated writer Christopher Sebela (Heartthrob, We(l)come Back, Harley Quinn), Ro Stein and Ted Brandt (Captain Marvel, Raven: The Pirate Princess), Triona Farrell (Runaways, Mech Cadet Yu), and Cardinal Rae (BINGO LOVE, Rose) is stirring up buzz with The Hollywood Reporter dropping the news yesterday that Rebel Wilson has optioned the film rights to the series with the goal of starring in and producing the movie adaptation. Wilson will develop the project and produce it via her Camp Sugar production banner. Also producing is Oni Entertainment. CROWDED #1 Cover A by Stein & Brandt (Diamond Code JUN180046) and CROWDED #1 Cover B by Stott (Diamond Code JUN180047) hit stores on Wednesday, August 15th, 2018. The final order cutoff deadline for comics retailers is Monday, July 23rd, 2018. PORTLAND, OR — Tee Franklin made waves this weekend at the American Library Association’s (ALA) Annual Conference when The Hollywood Reporter dropped the news of forthcoming BINGO LOVE, VOL. 1: JACKPOT EDITION in trade paperback and hardcover. The expanded editions will hit stores this November 2018 from Image Comics. BINGO LOVE, VOL. 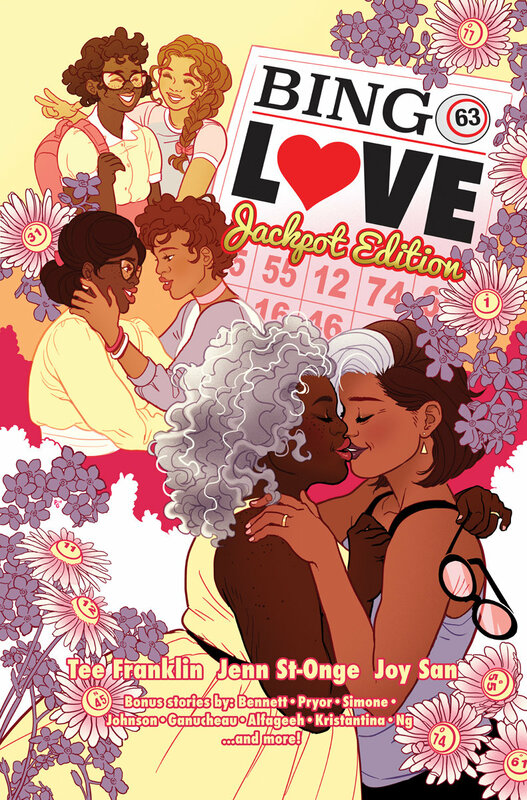 1: JACKPOT EDITION (ISBN: 978-1534309838) will be available in comic book stores on Wednesday, November 7th, 2018 and in bookstores on Tuesday, November 13th, 2018. It can be pre-ordered now on Amazon, Barnes & Noble, Books-a-Million, IndieBound, and Indigo. San Francisco, CA – VIZ Media, LLC (VIZ Media), a premier company in the fields of publishing, animation distribution, and global entertainment licensing, delivers an exciting new POKÉMON home media edition with the release of the POKÉMON ADVANCED BATTLE COMPLETE COLLECTION on June 12th, 2018. 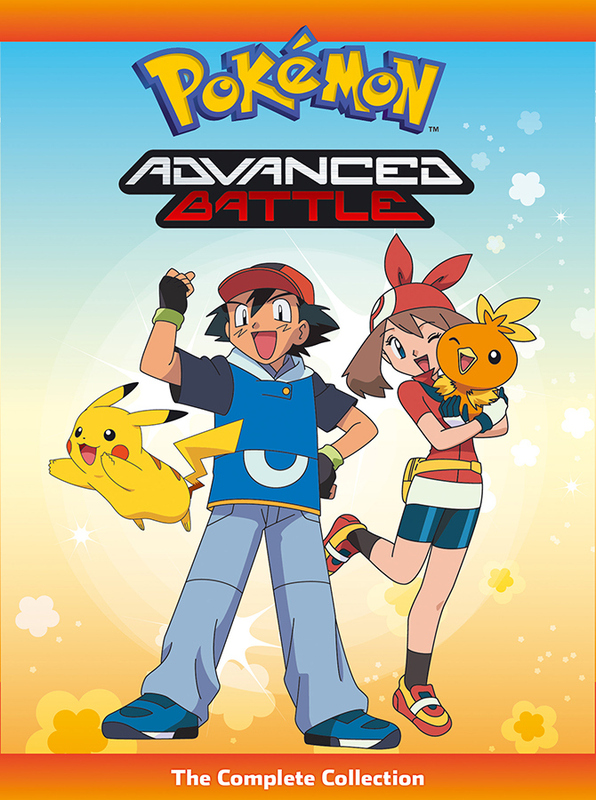 The POKÉMON ADVANCED BATTLE COMPLETE COLLECTION will debut exclusively on DVD and will feature 52 episodes on six discs. 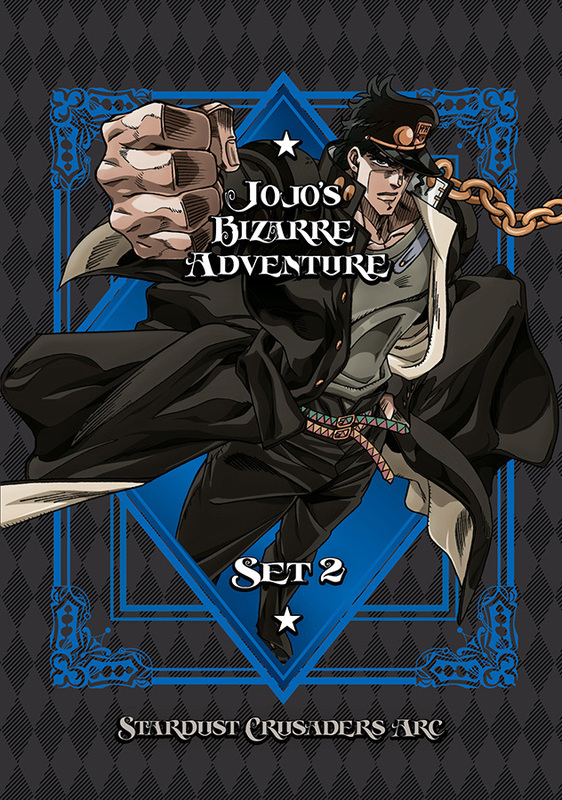 The set will carry an MSRP of $54.97 U.S. / $63.99 CAN with episodes presented with English dubbed as well as English SDH subtitled dialogue options. In the POKÉMON ADVANCED BATTLE COMPLETE COLLECTION, Ash earns his final two Gym badges and secures himself a spot in the Hoenn League Championships, while May almost misses her chance to win her final contest ribbon. But she’s victorious, and the stage is set for epic showdowns with both of her rivals in the Grand Festival! Ash meets two Trainers who become his own Hoenn rivals and faces off against both of them during the course of the tournament. Upon returning to Kanto and reuniting with old friends, Ash is recruited for a new challenge—the Battle Frontier! MUSIC - From Vulture: A complete history and timeline of the controversial career of the recently murdered rapper, XXXTentacion. BOOKS - From Inverse: It is the late author, Octavia E. Butler's birthday. Now learn "Why the Author Is Called the Mother of Afrofuturism." TELEVISION - From BuzzFeed: ABC announces its "Roseanne" spinoff, "The Conners." After controversial tweets by Roseanne Barr, ABC cancelled "Roseanne." TELEVISION - From Variety: MTV launches MTV Studios and will revive previous hits series, "Daria," "Aeon Flux," and "Real World." TERMINATOR - From Collider: His is a first look at Linda Hamilton ("Sarah Connor") in "Terminator 6." STAR TREK - From FlickeringMyth: "Star Trek" film star, Zachary Quinto ("Spock"), says there will be big new about "Star Trek 4" in the next few weeks. DISNEY - From Deadline: Disney ups its offer to buy 21st Century Fox to $71.3 billion in cash and stock, in the wake of Comcast offering $65 billion for Fox. PIXAR - From CinemaBlend: Replacements for John Lasseter at Pixar have been announced. Pete Docter (Up, Inside Out) will head Pixar Animation Studios. Jennifer Buck ("Frozen") will take over as head of Walt Disney Animation Studios. STAR TREK - From CinemaBlend: Is Captain Picard of "Star Trek: The Next Generation" due for a return or a cameo in "Star Trek: Discovery." AWARDS - From YahooEntertainment: "Black Panther" star, Chadwick Boseman, took time at the 2018 MTV Movie & TV Awards to honor James Shaw, Jr. Shaw disarmed a gunman at a Waffle House near Nashville, TN, this past April. CELEBRITY - From SBNation: NBA star and Los Angeles Lakers super rookie, Kyle Kuzma, thanks The Rock for inspiring him to pack on muscle over the summer. BOX OFFICE - From BoxOfficeMojo: The winner of the 6/15 to 6/17/2018 weekend box office is Disney/Pixar's "Incredibles 2" with an estimated take of $180 million. From Variety: "Incredibles 2" shatters the record for the box office debut of an animated film. It's $180 million bow breaks the record set in 2016 by fellow Pixar film, "Finding Dory," which opened at $135 million. From Deadline: ABC could have a deal to create a spinoff of its recently cancelled hit, "Roseanne." ABC canned the series after a series of controversial tweets by the show's star, Roseanne Barr. 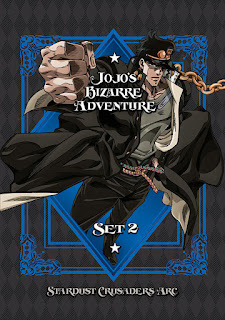 San Francisco, CA – VIZ Media, LLC (VIZ Media), a premier company in the fields of publishing, animation distribution, and global entertainment licensing, delivers Season 2 of the action-driven, multigenerational anime series with the home media release of JOJO’S BIZARRE ADVENTURE SET 2: STARDUST CRUSADERS on July 3rd, 2018. LOS ANGELES--(BUSINESS WIRE)--Oscar winning director Sam Mendes brings his World War I film, 1917, to Amblin Partners. Mendes, who wrote the original script with Krysty Wilson-Cairns, will direct and produce the film. Pippa Harris, Mendes’ producing partner at Neal Street Productions, will also produce. Production is targeting an April 2019 start for a US release in December 2019 through Amblin’s distribution partner, Universal Pictures. 1917 marks a reunion for Mendes and the Steven Spielberg-led Amblin Partners. The British director made his first feature, the Oscar winning American Beauty, under the DreamWorks Pictures label, followed by two other productions – Road to Perdition and Revolutionary Road. Mendes most recently directed the last two movies in the James Bond franchise, Spectre and Skyfall. CAA Media Finance packaged the film and brokered the deal. Amblin Partners is a content creation company, led by Steven Spielberg, that develops and produces films using the Amblin, DreamWorks and Participant Media banners and includes Amblin TV, a longtime leader in quality programming. The company’s investment partners include: Participant Media, Reliance Entertainment, Entertainment One (eOne), Alibaba Pictures and Universal Pictures. Neal Street Productions was formed in 2003 by Sam Mendes, Pippa Harris and Caro Newling, and Nicolas Brown joined in 2013 to work across the film and TV portfolio. The company has been successful in film, theatre and television with hit movies including Revolutionary Road, Jarhead and Starter for 10. Their diverse television slate includes the award-winning Stuart A Life Backwards, with Tom Hardy and Benedict Cumberbatch, three series of Penny Dreadful starring Josh Hartnett, Eva Green, Timothy Dalton and Rory Kinnear, and the hugely successful Call the Midwife. The show regularly gains over 10m viewers, it is the UK’s most watched TV drama series and it has been voted the Best Drama of the 21st Century in the BFI & Radio Times Festival Audience Poll. Neal Street also produced the critically acclaimed and award-winning The Hollow Crown - a series of Shakespeare films for the BBC/PBS - starring Ben Whishaw, Tom Hiddleston and Jeremy Irons, and a second series; The Hollow Crown: The Wars of the Roses starring Benedict Cumberbatch, Judi Dench, Hugh Bonneville, Keeley Hawes and Sophie Okonedo. Other TV projects include Britannia, a major new original drama series written by Jez Butterworth starring Kelly Reilly, Zoe Wanamaker and David Morrissey, for Sky and Amazon, and contemporary thriller, Informer, starring Paddy Considine, Bel Powley and Nabhaan Rizwan which will air on BBC and Amazon in 2018. On the theatre side, current productions include The Lehman Trilogy directed by Sam Mendes starring Simon Russell Beale which will be opening at the National Theatre in July 2018, The Ferryman written by Jez Butterworth, which, following its sell-out run and 5* reviews at both the Royal Court and the Gielgud Theatre in London will open at the Bernard B. Jacobs Theatre on Broadway in October 2018, The Moderate Soprano at the Duke of York’s Theatre in the West End, and Shrek The Musical which is touring across the UK throughout 2018/19. Neal Street Productions is an All3Media company, All3Media is owned jointly between Discovery Communications and Liberty Global. Image Comics, Mark Millar Announce Huge Sales for "The Magic Order"
PORTLAND, OR — Comics titan Mark Millar and Olivier Coipel (Amazing Spider-Man, Thor) launched Netflix’s THE MAGIC ORDER #1 last week to overwhelming critical acclaim and fan enthusiasm and, as reported upon by Deadline.com, broke industry records with some of the highest pre-order numbers in two decades. 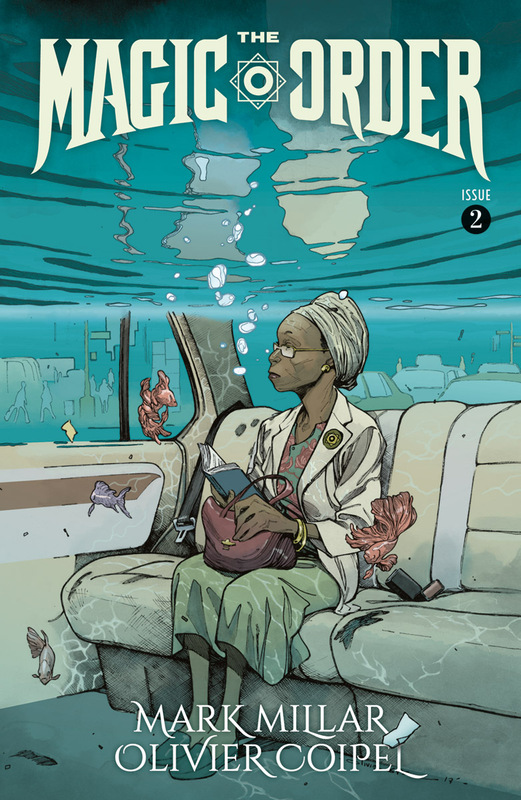 "An important note to retailers: There will be no second printing on The Magic Order #2. Just like #1, we want to create a huge excitement on the day so that people who get their copy feel extra lucky,” said Mark Millar. “What you order this weekend is what you get, but, as always, there is no risk to retailers, as this comic is returnable." 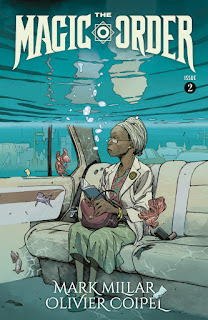 THE MAGIC ORDER #2 Cover A by Coipel (Diamond Code MAY180197), THE MAGIC ORDER #2 Cover B by Coipel (Diamond Code MAY180198), THE MAGIC ORDER #2 Cover C by Grampá (Diamond Code MAY188623) will be available on Wednesday, July 18th, 2018. The final order cutoff deadline for comics retailers is Monday, June 25th, 2018.